Nasir is Chief Executive Officer, Awan Marketing Plc; Director of Awan Marketing International Limited; and Director of Awan Property Investments Limited. Nasir started in the retail business in 1978, joining his late father. In 1980 he set up a consumer electronics wholesale operation, becoming one of UK’s major distributors. Awan Marketing is now one of the largest wholesalers in the UK. The company is run by the 3rd generation of the family operating from a 45,000 sq ft distribution centre in Hockley, Birmingham. It carries over 30,000 lines, servicing a customer base of over 14,000 throughout the UK and exporting to Europe, Africa and Asia. 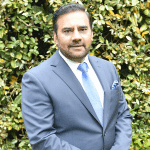 Nasir is a Director of The Greater Birmingham Chamber Of Commerce group, Chair of Asian Business Chamber Of Commerce and Chair of Trustees Inspire Education Academy at Yew Tree School, Aston. He is a Trustee of Euro Charity Trust; Birmingham Ethnic Education Services; and Sutton Coldfield Muslim Association. He is also a Director of the National Asian Business Association.